Here at MyPC Backup we’re very excited and pleased to be able to announce the arrival of yet another mobile online backup app to stand alongside our always growing list. Our aim is of course to not only provide our customers with the best online backup experience around, but also to make it as widely and conveniently available as possible. Due to popular demand, we now offer an online backup app for those users who own a Kindle Fire device. 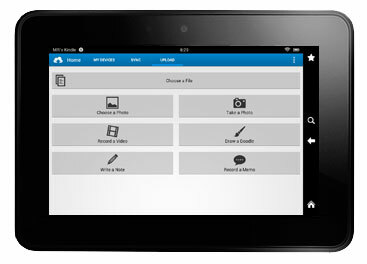 Our Kindle Fire App is now available from our Mobile Online Backup page. If you’re not yet a MyPC Backup customer, why not check out our competitively priced feature-loaded packages? Personal, Business or Resellers, we’ve got the perfect product for you.